You may not want to hear this but there is a place in many political campaigns for going negative. Why? Because at the end of the day negative campaigning works. Most people say they don’t like it and many candidates say they’ll never go negative. But if you’re serious about winning, then you must be prepared to go on the attack and go negative. The 2016 Presidential campaign for example will go down as one of the most negative campaigns in history. Billions of dollars were spent attacking the two major candidates, in an attempt to brand their weakness and convince voters who is better qualified. Why did both candidates and their affiliated Super PACS barrage voters with so many negative hits? Because they wanted to win. Neither candidate had positive images and a negative campaign was much easier to convince undecided voters who to vote for on Election Day. Every campaign must be prepared to engage in some level of negative attacks against their opponent. A negative attack can help create a story for voters to understand the difference between you and your opponent. Most pollsters and consultants agree that a candidate will most likely win if your positives are higher than your opponent’s. Voters expect a candidate to tout a positive image of who they are, but why should a voter choose you over another candidates if you both have solid positive attributes? In a close race, or one where you’re behind, you’ll need to go on the attack and go negative. That sentence might have made you bristle. Don’t let the word negative stop you. There’s nothing wrong with telling the truth about your opponent, especially if they have a flaw that should keep them from public office. The voters need to know those flaws. You have a responsibility to inform them. There are two main ways to compare and contrast yourself with an opponent. On the issues and on each of your qualifications. Choose 5 to 6 issues that are most important to your campaign and explain why you differ from your opponent. If you can narrow this down to 3 main issues, that will make it very easy for you to explain that to the voters. At the same time if there’s one major issue that’s on everyone’s mind and you have a differing point of view on it, that alone could be the way you win your election with only that comparison. What qualifies you to run for office? What disqualifies your opponent? These are great ways to compare and contrast yourself with your opponent. Did you have a career in the military while your opponent has been running for office repeatedly for the last 8 years? The veteran vs. the career politician is a very clear and easy to understand contrast for the voters to understand. If you are running against an incumbent or a candidate who has previously held office, their voting record is a solid insight on how they will vote for the office they are currently running for. Review the minutes of meetings and the votes your opponent took. Look for 3-5 votes your opponent has made in the past and make sure voters are aware. Test them in a poll and find out which ones resonate the most negative with the voters. Also study your opponent’s attendance record. If they miss meetings they were elected to attend, you need to let the voters know that. Voters hate when their elected officials aren’t showing up to do the job they elected them to do. Does your opponent have a criminal record? That might be something worth bringing up. Especially if the crime is recent or if it involved an issue of public trust, like theft or election fraud. The conviction might be from a long time ago, but don’t let that dissuade you from using it. Hitting them with that could create a problem for them if they fail to explain it properly. On thing you should always do is Google your opponent’s name and the word arrest at the beginning of your campaign. You never know what nuggets you’ll find with that. Has your opponent filed for bankruptcy, not paid taxes or have judgments against them? This is all public information and it may be important to the voters. Therefore you have a responsibility to inform the voters about your opponent’s financial failings. Since the financial crisis, some voters give a pass on bankruptcies, so be wise when and if you use such information. If they’ve filed for multi bankruptcies, that shows a pattern of monetary mismanagement that would give most voters pause. Tax liens however are golden. Voters hate it when a candidate hasn’t paid their taxes but wants to be in charge of spending everyone else’s tax dollars. Why do you think Hillary Clinton made such a big issue about Donald Trump’s tax returns? And why do you think he broke precedent and refused to release his returns? Because even if he followed the law and used all the deductions and exemptions that he could, voters don’t take to candidates who don’t pay their taxes, period. Now that you have some examples of effective negative campaigning, what is the best way to utilize it? First, always be honest. Don’t make things up. Have the documentation that shows where the attacks came from. Put the sourcing in your mailers and in your commercials. Put it up on your website allowing curious voters to examine the information for themselves. 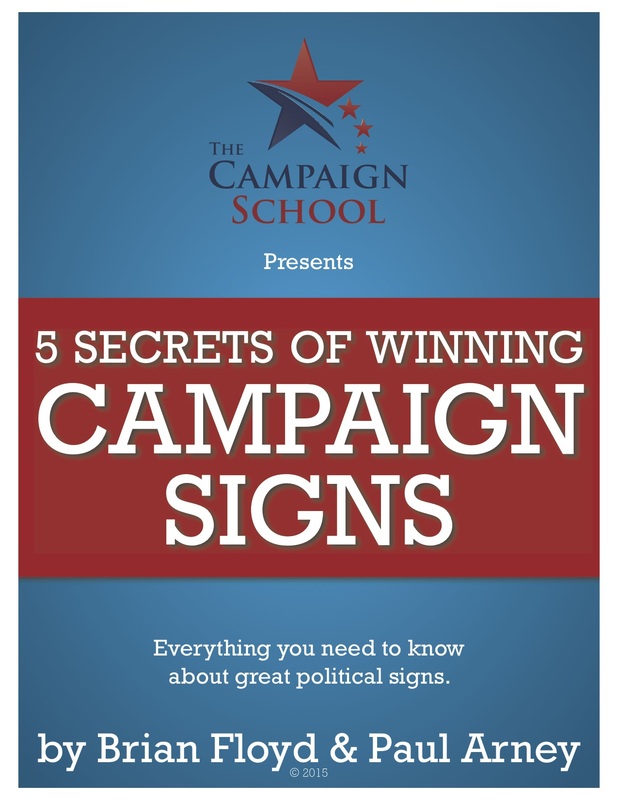 You should also review the 7 Rules for Going Negative on Political Campaigns. You also need to remember that when you begin to engage in negative attacks, your negatives will also grow. That’s not necessarily a bad thing. Most of the people who will try to stop you from going negative aren’t really on your side. They’re shilling for your opponent. They want you to ease up because they know their candidate is in trouble. They’re not looking out for you. No one wants to be labeled as a negative campaigner and a mudslinger. But as I said earlier, if you’re in a close race or behind, you’re going to have to throw some political punches. It’s required if you want to win and yes negative does work. And I’d rather see you go negative when you have to and win, than refuse to go on the attack and lose. You’re in your race to win it, so remember, all’s fair in love, politics, and war. Now go win!